Search Results for "car stop"
Macro footage of a female driver pressing an engine start and stop button of a car and shifting into gear. 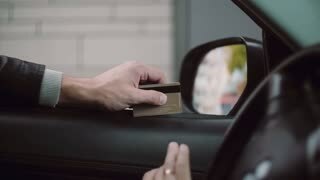 Young man driving a car, prepared a credit card for payment and holding in a hand. Car stops near the payment window. Man presses the alarm button in his car. The alarm must be turned on roadside traffic accident and forced to stop. 1960s: Man inside car looks around and drives. Man drives convertible, a car turns right. Car drives, pedestrians try to cross road. Traffic light. Car stops at crossroad, another car doesn't stop. 1970s: Cars and trucks drive along rainy road. Two cars brake and stop leaving ghost images behind. Cars stop unevenly. UNITED STATES 1970s: Officer driving police car / Car pulls over, police car stops, zoom in on police car / Cars stop / Officer opens car door, kneels behind door. United States: 1980s: pliers touch car engine and start fire and explosion. Lady signals for car to stop. Lady picks up clips. Car engine stops. Lady attaches jump leads to battery. 1960s: Two boys talk. Traffic light sign changes from ?Wait? to ?Walk?. Two boys cross road. 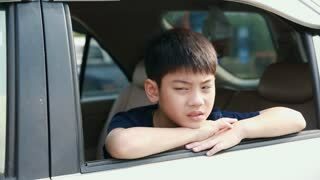 Two boys wait on the sidewalk, car stops. Two boys step on the road and stop. A car passes by fast. United States: 1980s: stop sign on side of road. Foot presses on pedal in car. Car stops at junction before it hits other road users. 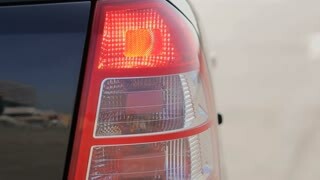 Close-up on red brake light on and off. Car stop. Car brake indicator. United States: 1980s: car struggles to stop on snow covered road. Car meets traffic at junction. Test car breaks on snow. Car fails to stop and starts to spin on snow. 1950s: UNITED STATES: shops and parked cars on street in city. Car stops to let man cross. 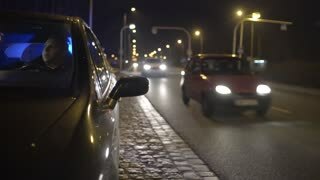 Car pulls on to road. United States: 1980s: car stops at junction. Car drives along snow covered road. 1959? Shots of various traffic signs, a car stops at a stop sign, and children cross a street with their teacher at a crosswalk.